Join us in exploring and promoting an increased understanding of the various cultures of the world amongst students of Fred Lynn! Share your culture and learn the beauty of another’s. Build a stronger community by encouraging other students to celebrate their differences while focusing on similarities. Meetings will be held after school on the second and fourth Thursday of each month. Pick up a permission slip in Room 11 from Ms. Setorie or Mrs. Rodas. Aloha, Baruch haba, Khosh amadid!" We are excited to meet our new members for the 2015-2016 school year. December 10, 2015 in Room 11. Bring your favorite snack to share with the members. you must have a signed permission slip on file. If you need one, stop by Room 11 and pick one up. Multicultural Club is Sponsoring Red Ribbon Week! October 26-October 30th is Red Ribbon Week! In what ways can a person respect themselves? Stop by Room 11 and create your own post-it with your ideas to put on our display outside of the classroom. We are visiting Mrs. Rodas' roots in Mexico this week! 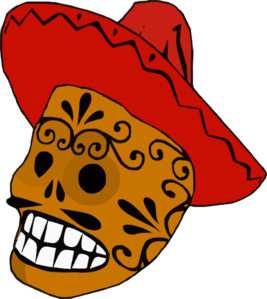 Join us in sampling some Mexican delicacies and learning about one of Mexico's most intriguing holidays: Dia de los Muertos. Bring yourself and bring a friend to the afternoon fun. It is Hispanic Heritage Month! We will be celebrating in true Hispanic form with music and food! Our group will meet in Room 11 on the second and fourth Thursday of the month from 'C-lane' dismissal until 5 PM (activity bus). Visit this website to learn about the Chippewa tribes in the USA and Canada. Visit this website to explore and learn more about Hispanic heritage.